Embattled prime minister Theresa May has been labelled ‘weak, weak, weak’ over the Brexit chaos engulfing the UK. 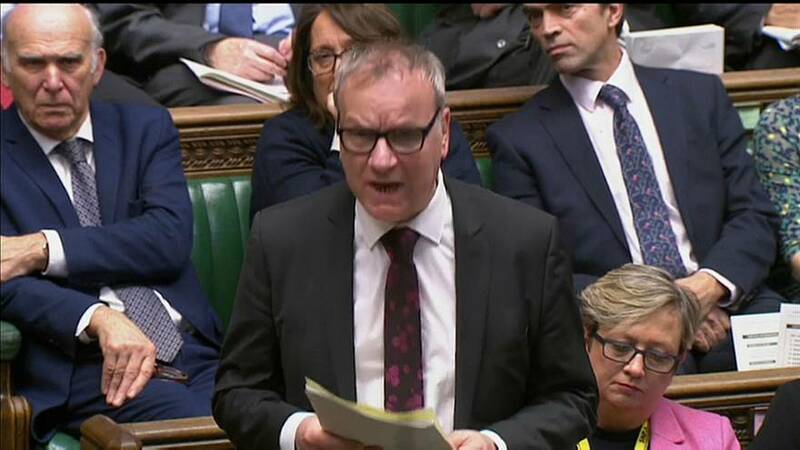 The broadside was delivered by Scottish MP Pete Wishart and references a famous exchange between Tony Blair and John Major. “The prime minister’s deal lies in tatters,” began Wishart. “Her cabinet is in open revolt. She presides over the biggest constitutional crisis this nation has experienced. “And where leadership is required, she is once again cravenly caved-in to hardline Brexiters and will now only seek a short extension to Article 50, contrary to the expressed will of this house. “When will she develop a backbone and stand up to those that would take this nation to disaster? May appeared to shrug off the criticism by saying she would respond to Wishart’s ‘question’ by updating MPs on Brexit. She confirmed that the government had written to Donald Tusk, President of the European Council — which is made of leaders of EU countries — to extend the Brexit departure date until June 30. Wishart was referencing a memorable exchange between then opposition leader Blair and Prime Minister John Major. It happened in early 1997, just months before the former replaced the latter in 10 Downing Street.